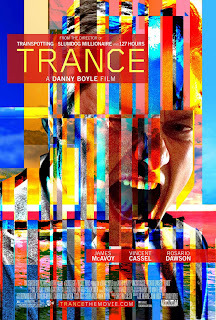 Want a pair of free passes to see the new Danny Boyle film TRANCE courtesy of the fine folks at Allied? Just go to www.gofobo.com/rsvp and enter this code: CMBWKSM (you'll need to have a Gofobo account or login with your facebook account). The screening takes place on Tuesday, April 9th at 7:30pm at the Cedar Lee Theatre. The first 20 people who enter the code will get passes, but remember the passes do not guarantee you a seat, so be sure to arrive at the theater early. (Seriously, if you've never been to one of these free screenings before and think you can just walk in 10 minutes before the movie is supposed to start and get a seat, you will likely be disappointed. I recommend showing up at least 30 minutes early, even earlier if possible. Don't say I didn't warn ya'.) If you don't win, you can catch the film when it opens in theaters on Friday April 12th. 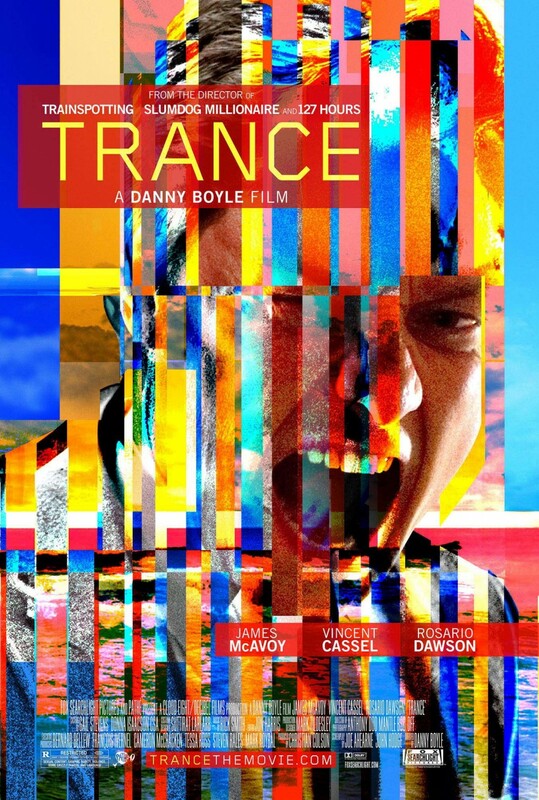 Academy Award® winning director Danny Boyle crafts a wildly twisting mind puzzle exploring identity, madness and perception via the altered state of hypnotic trance. Between the razor-thin lines of our dreams, desires and darkest impulses, our everyday realities vanish, leaving only the question of who or what can be trusted. In TRANCE, Simon (James McAvoy), a fine art auctioneer, teams up with a criminal gang to steal a Goya painting worth millions of dollars. After suffering a blow to the head during the heist, he awakens to discover he has no memory of where he hid the painting. When physical threats and torture fail to produce answers, the gang’s leader Franck (Vincent Cassel) hires hypnotherapist Elizabeth Lamb (Rosario Dawson) to delve into the darkest recesses of Simon’s psyche. As Elizabeth begins to unravel Simon’s broken subconscious, the line between truth, suggestion, and deceit begin to blur.